In addition to me being a theologian-in-training, an associate pastor and a family man, I am also a guitar wielding founder of a hard rock Christian band. Those things go together so nicely, don't they? This Saturday will be one of the most anticipated performances of my music career. Springfield, TN is not going to know what hit them. Saturday night at The Servant's Quarters in Springfield, TN, the Epic Battle will take place. 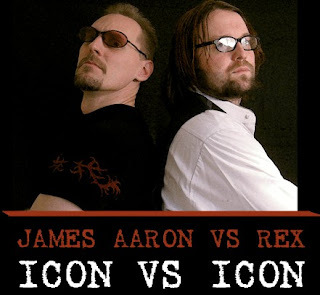 This is a "battle" between former lead singer "Rex" and current lead singer James Aaron. Although it is all in good fun, and a positive message will be the outcome of the "battle", the Judah First fans have nevertheless become quite heated in the debate of the battle. This one will be interesting. Do Baptists Pay Enough Attention to Baptism?